The complex blood supply to the biliary tree (the path through which biles moves from the liver to the first part of the small intestine). Patients and medical professionals from America and around the world seek out Dr. Alden’s specialized best in class individualized cancer treatments and services including his expert surgical management of the patient’s unique condition. Bile duct reconstruction surgery becomes necessary if the biliary (bile duct) system is accidentally injured during laparoscopic cholecystectomy (which is removal of the gallbladder through several small incisions in the stomach). Fortunately, bile duct injury is rare and occurs in only 0.1% of all cholecystectomies. However, close to 1 million gallbladders are removed in the United States each year, which translates into 10,000 injuries. This means 10,000 people in need of bile duct repair or reconstruction! Dr. Dmitry Alden’s track record shows excellent outcomes, minimal complication rates, and, most importantly, a near zero rate of late problems that can be frequent if the repair is not done properly. In addition, biliary complications can occur during and after liver, gastric, duodenal, and pancreas surgery, and liver transplantation surgery. Several types of injuries and complications can happen. The blood vessel supplying blood to the bile duct and nearby parts of the liver can be injured or compromised, which is a common complication. Biliary complications can occur early after a surgery or much later, and these are managed differently. Some require an extensive surgical repair and some can be easily managed conservatively, without any need of surgery, by a skilled group of gastroenterologists and interventional radiologists to permanently fix the problem. In addition to office based consultations, Dr. Alden offers remote consultations to patients and medical professionals anywhere in the world via phone or SKYPE. Please follow this link to learn more: remote consultations. 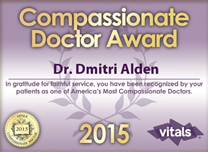 Please phone Dr. Dmitri Alden’s NYC office (212) 434-6216 for details pertaining to remote consultations or simply use the eForm on the right. What type of surgery is needed for bile duct repair or bile duct reconstruction? Depending on the type, timing, and level of the injury, the bile duct surgery could range from a simple repair to an extensive dissection of the entire bile duct and reconstruction by mounting a loop of small intestine to the liver (Roux-en-Y loop) and making a connection to the multiple bile ducts individually inside the liver. In some cases removal of an entire lobe of the liver is necessary. Sometimes, multiple advanced techniques such as portal vein embolization might be needed. We regularly perform these types of surgeries and so have gained vast experience in this field. In addition, we work with the best and most experienced gastroenterologists and interventional radiologists in the hepatobiliary field.